Haven't received anything? please contact support@lionwins.com for assistance. 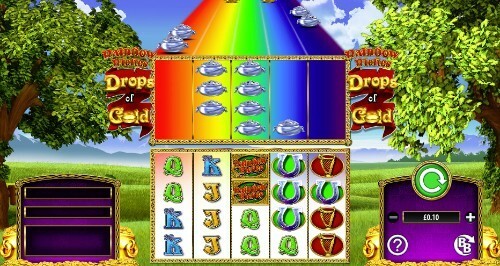 Rainbow Riches: Drops of Gold is a 5 reel, 200 betways slot with Irish themed. This UK slot was released in June 2018 by Barcrest. BONUS symbols are present in Free Spins and award additional Free Spins as described. 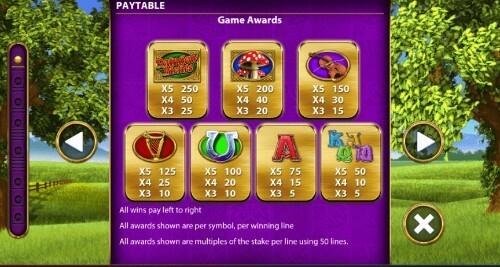 Free Spins uses the same award card as the base game spin that triggered the feature. Lion Wins is operated by Jumpman Gaming Limited which is licensed by the UK Gambling Commission ('UKGC') for customers in Great Britain and the Alderney Gambling Control Commission ('AGCC') for customers outside of Great Britain. All games on Lion Wins are regulated by the UKGC or both the UKGC and AGCC. Registered business address (no correspondence): Inchalla, Le Val, GY9 3UL, Alderney.